Merry Christmas Eve everyone!! I hope you're having an amazing day so far. 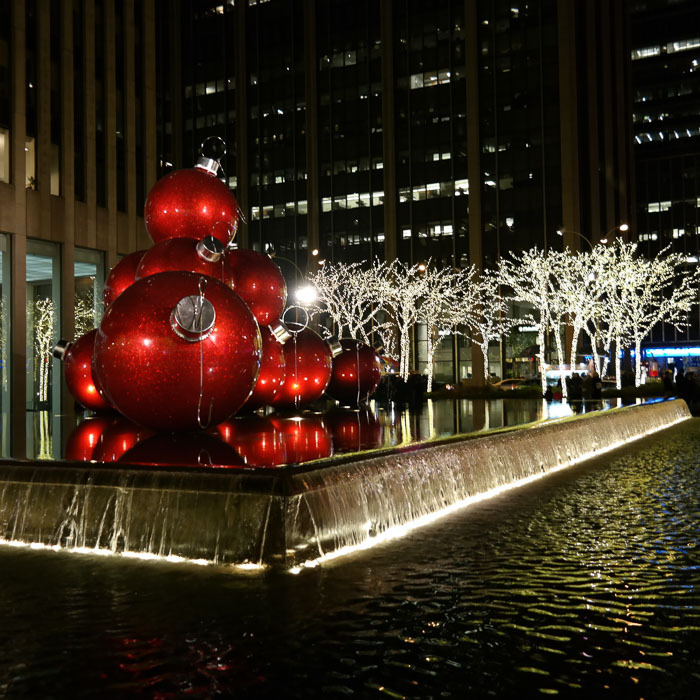 I'm so excited (and sad) to share my very last day of NYC Christmas with you (if you missed any days, I have you covered here). 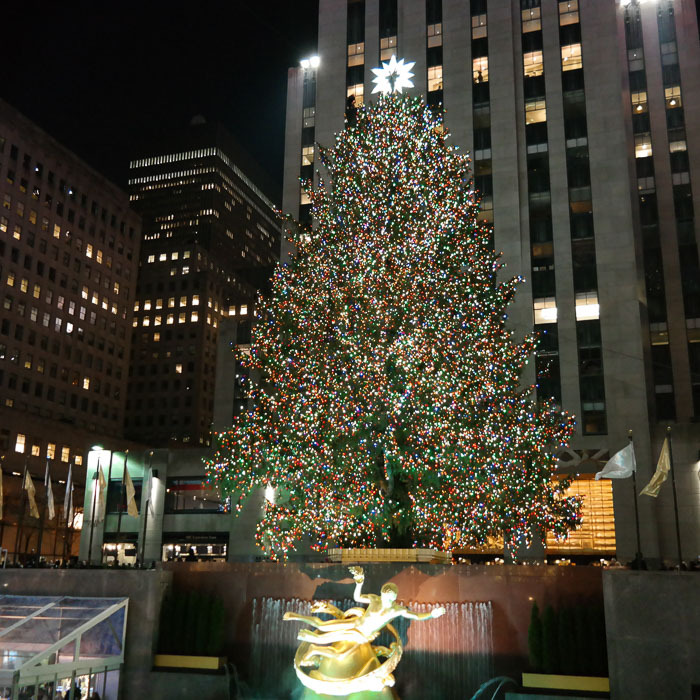 I wanted to save the best for last: Rockefeller Center! 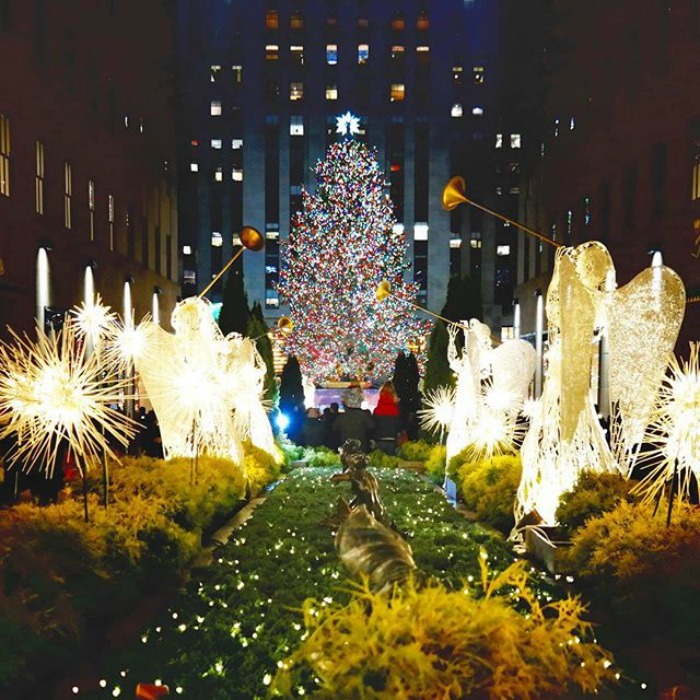 Rockefeller Center is the quintessential New York City spot any time of year but especially so during the holidays. 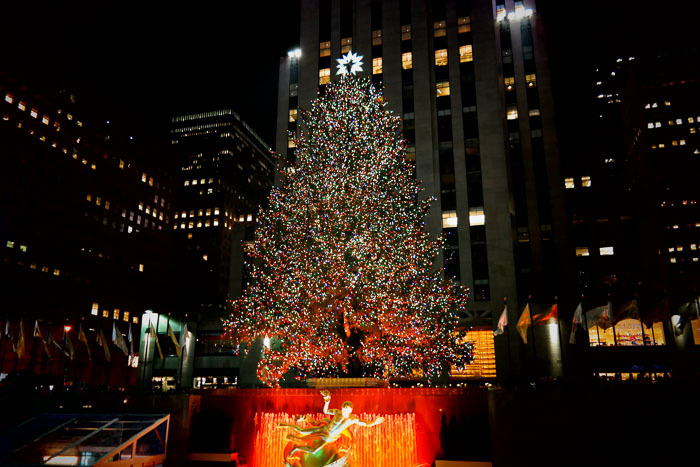 It has THE tree, a skating rink, beautiful decorations and an amazing light show. What more could you want??? I love visiting every year even if it means fighting the crowds (it's busy ALL times of the day). It's totally worth it to walk around and take it all in. Even around the corner is Radio City Music Hall and a ton of other really great decorations. And so that's it! Crazy to think how quickly 12 days on the blog went by. But THANK YOU for following along with such a wonderful series and I really hope you guys enjoyed it as much as I did. I really had a blast doing this! Annual tradition anyone?? I hope you all have an amazing Christmas. I will see you on Monday!